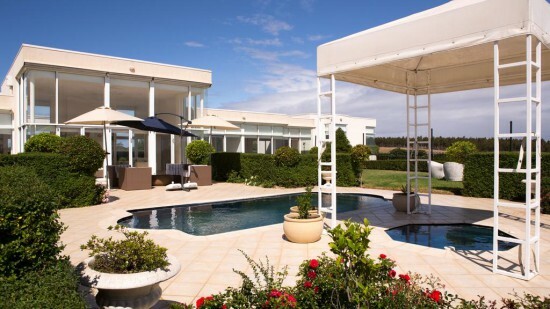 ocated in Metung, 14.5 km from Lakes Entrance, Tintagel features a seasonal outdoor pool and grill. Free WiFi is featured and free private parking is available on site. All rooms include a flat-screen TV with cable channels and DVD player. Some rooms feature a seating area where you can relax. Enjoy a cup of tea from your terrace or patio. Each room comes with a private bathroom with a hot tub and bath, with free toiletries provided. A range of activities are available in the area, such as cycling and hiking. Bairnsdale is 17.7 km from Tintagel, and Paynesville is 11.3 km from the property.